By the end of today’s blog post, you will understand how to implement, train, and evaluate a Convolutional Neural Network on your own custom dataset. And in next week’s post, I’ll be demonstrating how you can take your trained Keras model and deploy it to a smartphone app with just a few lines of code! To keep the series lighthearted and fun, I am fulfilling a childhood dream of mine and building a Pokedex. A Pokedex is a device that exists in the world of Pokemon, a popular TV show, video game, and trading card series (I was/still am a huge Pokemon fan). If you are unfamiliar with Pokemon, you should think of a Pokedex as a smartphone app that can recognize Pokemon, the animal-like creatures that exist in the world of Pokemon. You can swap in your own datasets of course, I’m just having fun and enjoying a bit of childhood nostalgia. To learn how to train a Convolutional Neural Network with Keras and deep learning on your own custom dataset, just keep reading. In last week’s blog post we learned how we can quickly build a deep learning image dataset — we used the procedure and code covered in the post to gather, download, and organize our images on disk. Now that we have our images downloaded and organized, the next step is to train a Convolutional Neural Network (CNN) on top of the data. I’ll be showing you how to train your CNN in today’s post using Keras and deep learning. The final part of this series, releasing next week, will demonstrate how you can take your trained Keras model and deploy it to a smartphone (in particular, iPhone) with only a few lines of code. The end goal of this series is to help you build a fully functional deep learning app — use this series as an inspiration and starting point to help you build your own deep learning applications. Let’s go ahead and get started training a CNN with Keras and deep learning. Figure 1: A montage of samples from our Pokemon deep learning dataset depicting each of the classes (i.e., Pokemon species). As we can see, the dataset is diverse, including illustrations, movie/TV show stills, action figures, toys, etc. Our deep learning dataset consists of 1,191 images of Pokemon, (animal-like creatures that exist in the world of Pokemon, the popular TV show, video game, and trading card series). 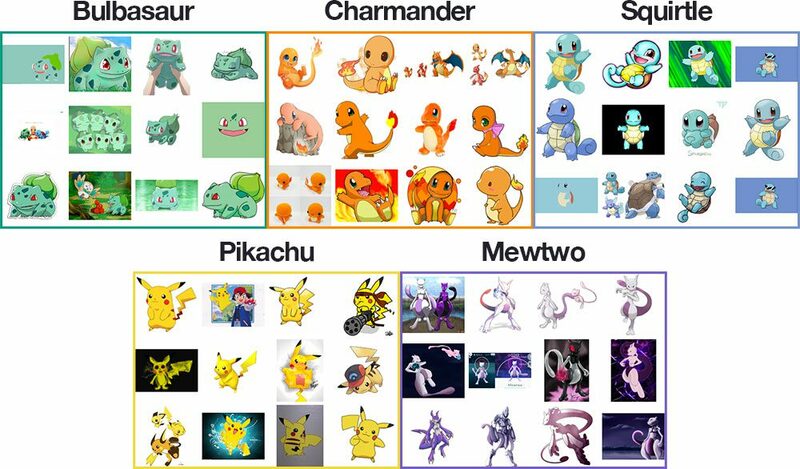 Our goal is to train a Convolutional Neural Network using Keras and deep learning to recognize and classify each of these Pokemon. A montage of the training images for each class can be seen in Figure 1 above. This diverse mix of training images will allow our CNN to recognize our five Pokemon classes across a range of images — and as we’ll see, we’ll be able to obtain 97%+ classification accuracy! : Contains the five classes, each class is its own respective subdirectory to make parsing class labels easy. : Contains images we’ll be using to test our CNN. model class (which we’ll be implementing later in this post). : Our training/testing accuracy and loss plot which is generated after the training script is ran. serialized object file — this contains a class index to class name lookup mechamisn. : This is our serialized Keras Convolutional Neural Network model file (i.e., the “weights file”). : We will use this script to train our Keras CNN, plot the accuracy/loss, and then serialize the CNN and label binarizer to disk. Figure 2: A VGGNet-like network that I’ve dubbed “SmallerVGGNet” will be used for training a deep learning classifier with Keras. You can find the full resolution version of this network architecture diagram here. The CNN architecture we will be utilizing today is a smaller, more compact variant of the VGGNet network, introduced by Simonyan and Zisserman in their 2014 paper, Very Deep Convolutional Networks for Large Scale Image Recognition. First we import our modules — notice that they all come from Keras. Each of these are covered extensively throughout the course of reading Deep Learning for Computer Vision with Python. files or how they are used to create modules, no worries, just use the “Downloads” section at the end of this blog post to download my directory structure, source code, and dataset + example images. : The image width dimension. : The image height dimension. : The depth of the image — also known as the number of channels. : The number of classes in our dataset (which will affect the last layer of our model). We’re utilizing 5 Pokemon classes in this post, but don’t forget that you could work with the 807 Pokemon species if you downloaded enough example images for each species! (as we’ll see later in this post). Keep this in mind as we explain the spatial dimensions of the input volume as it passes through the network. Since we’re using the TensorFlow backend, we arrange the input shape with “channels last” data ordering, but if you want to use “channels first” (Theano, etc.) then it is handled automagically on Lines 23-25.
the activation function followed by batch normalization. input images to train our network as we’ll see in the next section). As you can see from the code block, we’ll also be utilizing dropout in our network architecture. Dropout works by randomly disconnecting nodes from the current layer to the next layer. This process of random disconnects during training batches helps naturally introduce redundancy into the model — no one single node in the layer is responsible for predicting a certain class, object, edge, or corner. layers together (prior to reducing the spatial dimensions of the volume) allows us to learn a richer set of features.
. The deeper we go in the network, the smaller the spatial dimensions of our volume, and the more filters we learn. to ensure we do not reduce our spatial dimensions too quickly. Dropout is again performed at this stage. here. Dropout of 25% of the nodes is performed to reduce overfitting again. with a rectified linear unit activation and batch normalization. Dropout is performed a final time — this time notice that we’re dropping out 50% of the nodes during training. Typically you’ll use a dropout of 40-50% in our fully-connected layers and a dropout with much lower rate, normally 10-25% in previous layers (if any dropout is applied at all). We round out the model with a softmax classifier that will return the predicted probabilities for each class label. , refer to the following link. is implemented, we can train our Convolutional Neural Network using Keras. matplotlib backend so that figures can be saved in the background (Line 3). class will be used for data augmentation, a technique used to take existing images in our dataset and apply random transformations (rotations, shearing, etc.) to generate additional training data. Data augmentation helps prevent overfitting. optimizer, the optimizer method used to train our network. Input a set of class labels (i.e., strings representing the human-readable class labels in our dataset). Transform our class labels into one-hot encoded vectors. Allow us to take an integer class label prediction from our Keras CNN and transform it back into a human-readable label. import on Line 11 — this is the Keras CNN we just implemented in the previous section. directory with subdirectories representing each class. Inside each subdirectory is ~250 Pokemon images. See the project directory structure at the top of this post for more details. : The path to the output model — this training script will train the model and output it to disk. : The path to the output label binarizer — as you’ll see shortly, we’ll extract the class labels from the dataset directory names and build the label binarizer. file will be placed in the current working directory. You do not need to modify Lines 22-31 to supply new file paths. The command line arguments are handled at runtime. If this doesn’t make sense to you, be sure to review my command line arguments blog post. The total number of epochs we will be training our network for (i.e., how many times our network “sees” each training example and learns patterns from it). The initial learning rate — a value of 1e-3 is the default value for the Adam optimizer, the optimizer we will be using to train the network. value controls the batch size. which will hold the preprocessed images and labels, respectively. Lines 46-48 grab all of the image paths and randomly shuffle them. on Line 51 and then proceed to load the image (Line 53) and resize it to accommodate our model (Line 54). from the file path on Line 60 and append it (the label) on Line 61. So, why does this class label parsing process work? Using the path separator on Line 60 we can split the path into an array and then grab the second-to-last entry in the list — the class label. by splitting the path on your operating system’s respective path separator. With deep learning, or any machine learning for that matter, a common practice is to make a training and testing split. This is handled on Lines 75 and 76 where we create an 80/20 random split of the data. Since we’re working with a limited amount of data points (< 250 images per class), we can make use of data augmentation during the training process to give our model more images (based on existing images) to train with. Data Augmentation is a tool that should be in every deep learning practitioner’s toolbox. I cover data augmentation in the Practitioner Bundle of Deep Learning for Computer Vision with Python. Do not go blindly editing the code. Consider the implications larger or smaller images will have first! with categorical cross-entropy since we have > 2 classes (Lines 88 and 89). Note: For only two classes you should use binary cross-entropy as the loss. method to train the network (Lines 93-97). Be patient — this can take some time depending on whether you are training using a CPU or a GPU. The label binarizer file contains the class index to human-readable class label dictionary. This object ensures we don’t have to hardcode our class labels in scripts that wish to use our Keras CNN. I elected to save my plot to disk (Line 121) rather than displaying it for two reasons: (1) I’m on a headless server in the cloud and (2) I wanted to make sure I don’t forget to save the plot. Now we’re ready to train our Pokedex CNN. Be sure to visit the “Downloads” section of this blog post to download code + data. 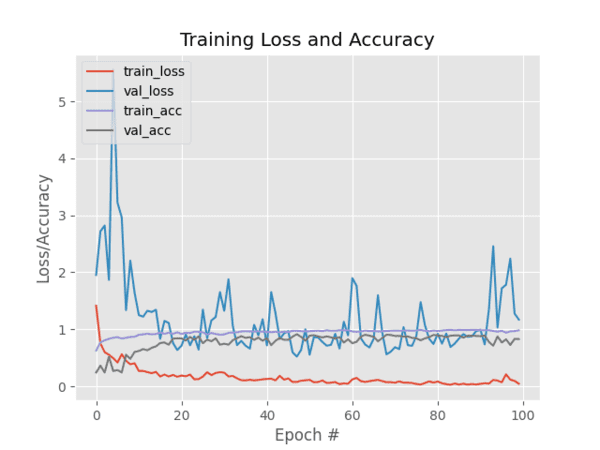 Figure 3: Training and validation loss/accuracy plot for a Pokedex deep learning classifier trained with Keras. As you can see in Figure 3, I trained the model for 100 epochs and achieved low loss with limited overfitting. With additional training data we could obtain higher accuracy as well. First we import the necessary packages (Lines 2-9). : The path to the model that we just trained. : The path to the label binarizer file. : Our input image file path. Each of these arguments is established and parsed on Lines 12-19. Remember, you don’t need to modify these lines — I’ll show you how to run the program in the next section using the command line arguments provided at runtime. for display purposes (Line 23). in the exact same manner that we did for training (Lines 26-29). and label binarizer in memory. We load both on Lines 34 and 35.
based on this. Obviously these two lines make the assumption that your input image has a filename that contains the true label. image so it fits our screen (Line 51). image (Lines 52 and 53). image and wait for a keypress to exit (Lines 57 and 58). Ensure that you’ve grabbed the code + images from the “Downloads” section at the bottom of this post. Figure 4: Correctly classifying an input image using Keras and Convolutional Neural Networks. And last but not least, let’s classify my fire-tailed Charmander again. This time he is being shy and is partially occluded by my monitor. Figure 9: One final example of correctly classifying an input image using Keras and Convolutional Neural Networks (CNNs). Each of these Pokemons were no match for my new Pokedex. Currently, there are around 807 different species of Pokemon. Our classifier was trained on only five different Pokemon (for the sake of simplicity). If you’re looking to train a classifier to recognize more Pokemon for a bigger Pokedex, you’ll need additional training images for each class. Ideally, your goal should be to have 500-1,000 images per class you wish to recognize. To acquire training images, I suggest that you look no further than Microsoft Bing’s Image Search API. This API is hands down easier to use than the previous hack of Google Image Search that I shared (but that would work too). One of the primary limitations of this model is the small amount of training data. I tested on various images and at times the classifications were incorrect. When this happened, I examined the input image + network more closely and found that the color(s) most dominant in the image influence the classification dramatically. For example, lots of red and oranges in an image will likely return “Charmander” as the label. Similarly, lots of yellows in an image will normally result in a “Pikachu” label. This is partially due to our input data. Pokemon are obviously fictitious so there no actual “real-world” images of them (other than the action figures and toy plushes). Most of our images came from either fan illustrations or stills from the movie/TV show. And furthermore, we only had a limited amount of data for each class (~225-250 images). Ideally, we should have at least 500-1,000 images per class when training a Convolutional Neural Network. Keep this in mind when working with your own data. Can we use this Keras deep learning model as a REST API? In today’s blog post you learned how to train a Convolutional Neural Network (CNN) using the Keras deep learning library. Our dataset was gathered using the procedure discussed in last week’s blog post. In particular, our dataset consists of 1,191 images of five separate Pokemon (animal-like creatures that exist in the world of Pokemon, the popular TV show, video game, and trading card series). 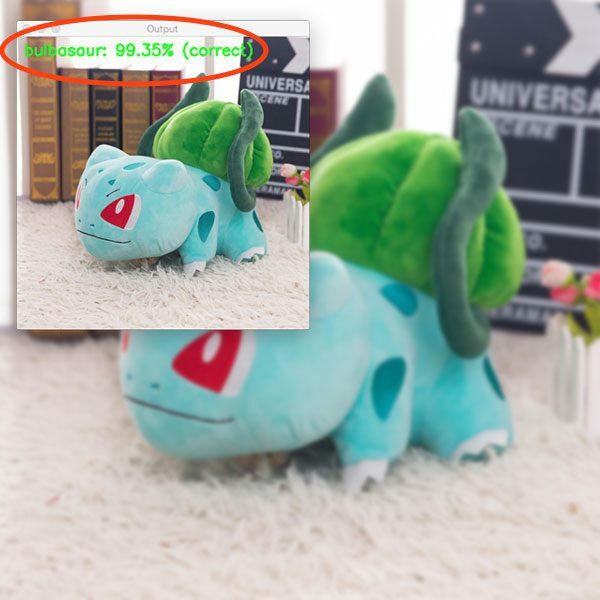 Using our Convolutional Neural Network and Keras, we were able to obtain 97.07% accuracy, which is quite respectable given (1) the limited size of our dataset and (2) the number of parameters in our network. …and deploy it to a smartphone with only a few lines of code! It’s going to be a great post, don’t miss it! To download the source code to this post (and be notified when next week’s can’t miss post goes live), just enter your email address in the form below! If you would like to download the code and images used in this post, please enter your email address in the form below. Not only will you get a .zip of the code, I’ll also send you a FREE 11-page Resource Guide on Computer Vision and Image Search Engines, including exclusive techniques that I don’t post on this blog! Sound good? If so, enter your email address and I’ll send you the code immediately! The post Keras and Convolutional Neural Networks (CNNs) appeared first on PyImageSearch.